The depression you are suffering from has become so debilitating that it prevents you from functioning at work. You believe the depression is attributed to something that takes place on the job. After all, if you injured your back and couldn’t come into the office, workers’ compensation would take over. Does the same apply to a psychological injury, so to speak, as you combat depression and anxiety? The answer is that it depends… but it will be tough to prove. The first thing to keep in mind with any workers’ comp claim is that the injury must be directly associated with the workplace. If you slip and fall in the hallway at the office, that’s a cut-and-dried example of injuring yourself on the job and being eligible for workman’s compensation. But depression and anxiety are a whole different ball game. Your boss might well be a micromanaging narcissist, impossible for almost any sane human being to work for, and he might be driving you crazy. That stress might well be leaving you virtually incapacitated. It’s still going to be an uphill battle to win. That’s because the second thing to keep in mind in workers’ comp cases is that even though the rules vary by state, the burden of proof is virtually always on the employee—to prove both the injury and that it was a direct result of the workplace environment. If you’ve had any prior treatment for depression or anxiety, you are likely out of luck. A more reasonable hope of gaining workers’ comp eligibility is the depression that comes about as a result of a workplace injury. This is referred to as consequential depression. There’s still a burden of proof ladder you’ll have to climb. Your past history with depression will still be a factor. You’ll likely need to go through a formal claims hearing with a medical professional testifying on your behalf. But positive outcomes in this scenario are more plausible. 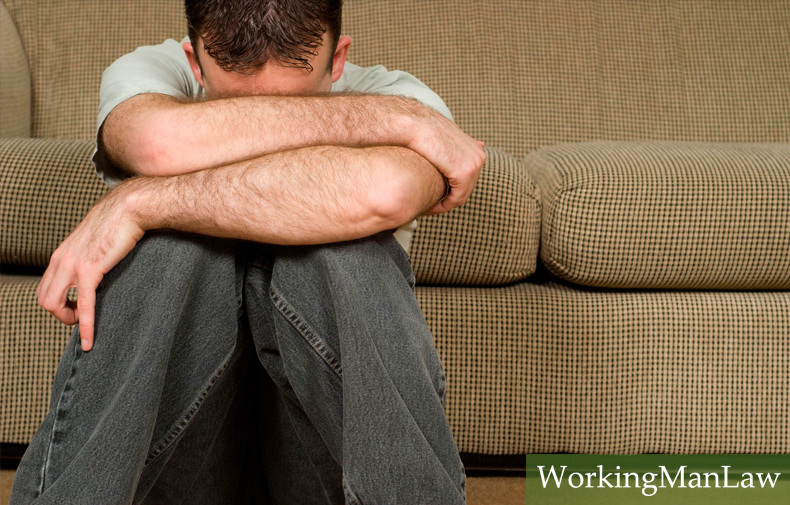 Societal awareness of depression and all its effects is growing, but the odds are unfortunately still against gaining workers’ comp relief for it. In any pursuit of workers’ compensation, it’s critical that you avoid making these five mistakes.